This moon was 30 hours before new. The faint dark shaft around the moon may be a crepuscular ray. 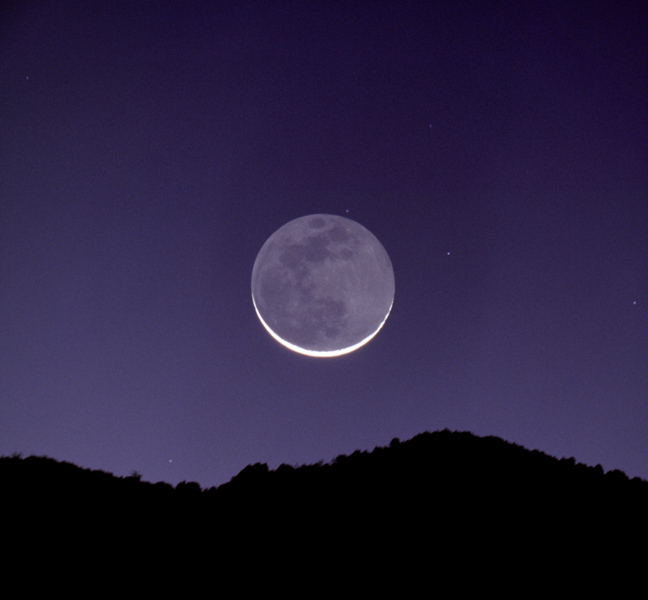 This image was published in the February 2002 Gallery section of Sky & Telescope magazine.